High tide fell conveniently at 11am this morning, meaning that we couldn't leave before 10am even if we wanted to, which is unusual for our channel crossings. With all the latest buoy positions added to our CMAP chart we felt we had prepared as well as possible for the tricky harbour channel and set out relatively confidently in near perfect still and clear conditions. We had barely got out of the harbour when the depth on the gauge starting falling to four, three then two feet and we heard the now familiar sound of land meeting the bottom of the boat. The stretch which runs alongside the seafront is about 100 metres wide and the only markings are a line of red spar buoys at the outer extremity which must stand in about a foot of water even at high tide. We eventually located the deepest water about a third of the distance from the landward side and crept towards the start of the buoyed section in the wake of Broom colleagues on Samphire, who with only 0.9 metres draught had more of a margin for error. 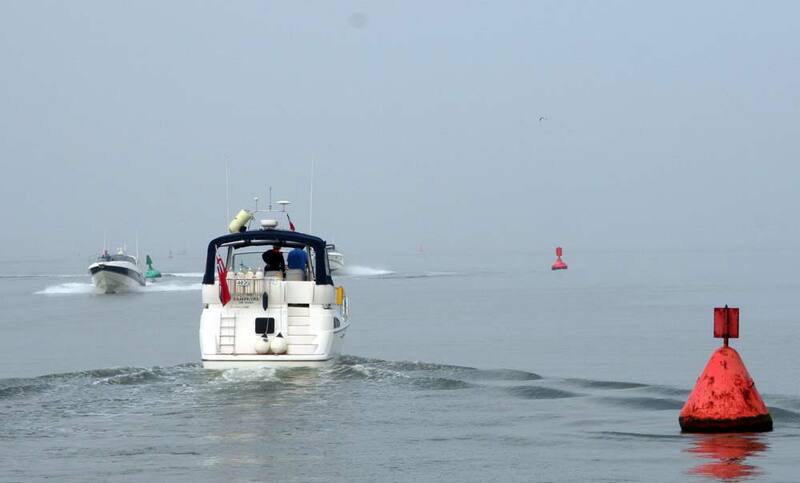 After our various incidents involving encounters with the bottom we were concerned we might not be able to run the boat at full speed and sure enough as we increased it to 15 knots we felt a vibration which indicated all was not well down below. We had anticipated a fall back plan of a shorter passage to Boulogne if necessary, but with a comfortable cruising speed of around 10 knots we could still make our original intended destination of Brighton in a reasonable eight hour cruise so set a course straight across the shipping lanes and set up our inflight entertainment for a long passage. 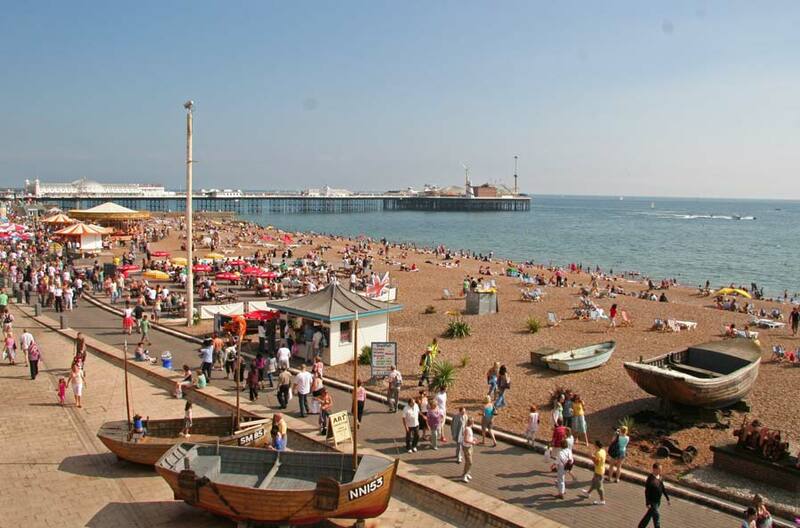 The weather on the south coast was warm and sunny and we found Brighton in bank holiday mood. 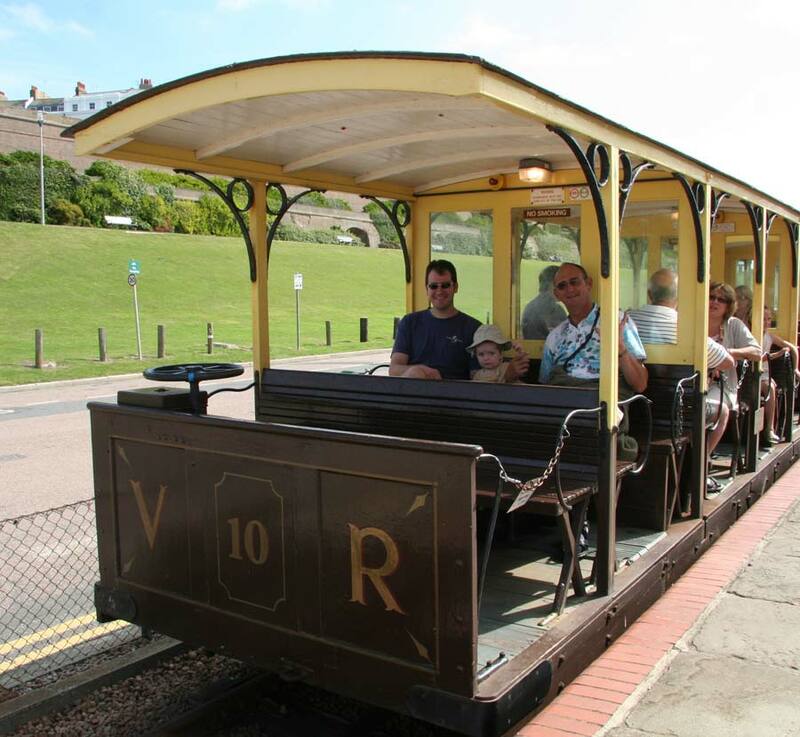 With an impromptu visit from Dan and James arranged by text message as we crossed the channel, we spent the next day in holiday mode, making the trip into town on the Volks Railway and hiring deck chairs on the beach.